Leaves are falling, pumpkins are being carved and our willpower against sugary treats is being tested! There's only one thing that all of this could mean-- it's Halloween (or as we'll be calling it, HallowREAD)! The only way for bookworms like us to get into the spooky spirit is to read our favourite, most creepy books that should never be read in the dark! 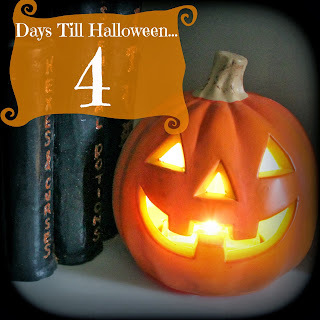 As we count down to one of the most anticipated nights of the year, each day I will be posting either a spooky, eerie, or super-natural type excerpt that makes scurrying under the covers seem like not such a bad idea! My challenge for you: read a novel (or two!) that helps you get into the Halloween spirit and/or share your most scary bookish moments on your blog or in the comments below! It'll be a week full of creepiness, books and a GIVEAWAY that will give TWO of you the opportunity to win one of the seven books featured throughout the week! 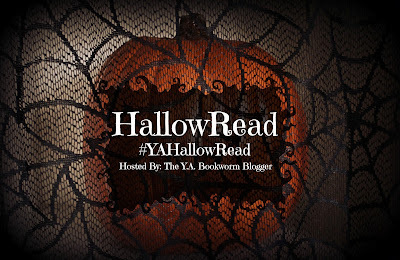 Stay updated on all of the fun using the hashtag #YAHallowRead on Twitter, Instagram and Facebook! As the night owls would say, It's going to be a real HOOT :) ! The smudges had faded? That quickly? I stalked to the vanity mirror and leaned over, planting my palms on the surface scattered with makeup. My reflection stared back at me, the smudges just as dark as before. Disappointment hit me a split second before I realized something else was wrong. Something far worse. I wasn't smiling-- but my reflection was. Two winners will each get to choose which book out of the seven featured during the week they'd like to receive as a prize. Contest open internationally as long as the Book Depository ships to you (Not sure? Check here)! I don't really have one yet but I just got Gris Grimly's illustrated Frankenstein so i'm super excited about that!